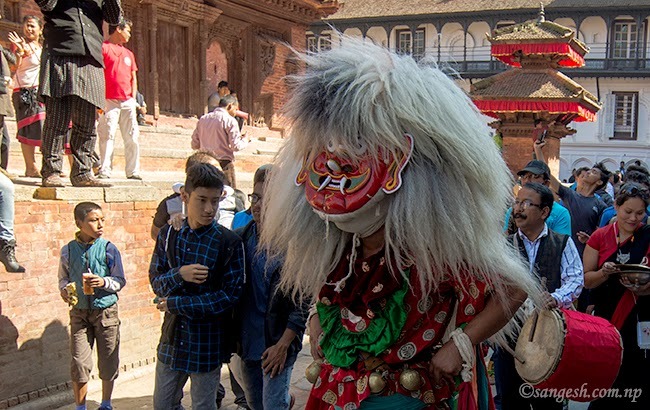 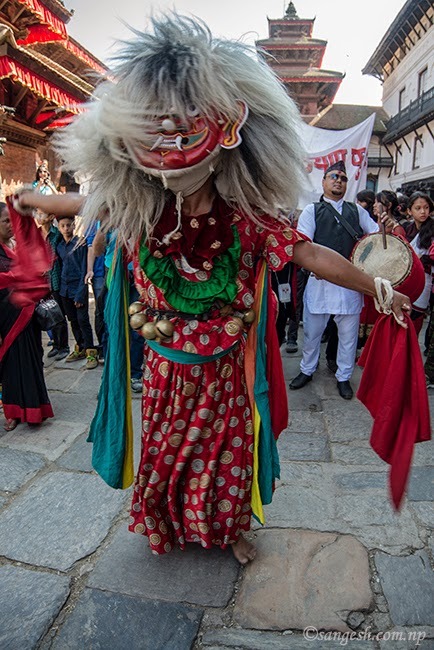 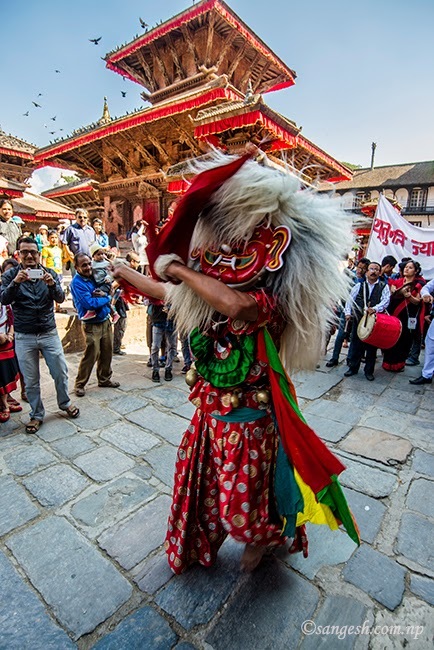 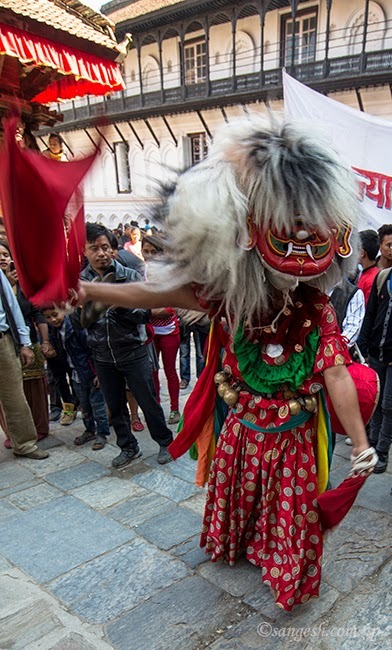 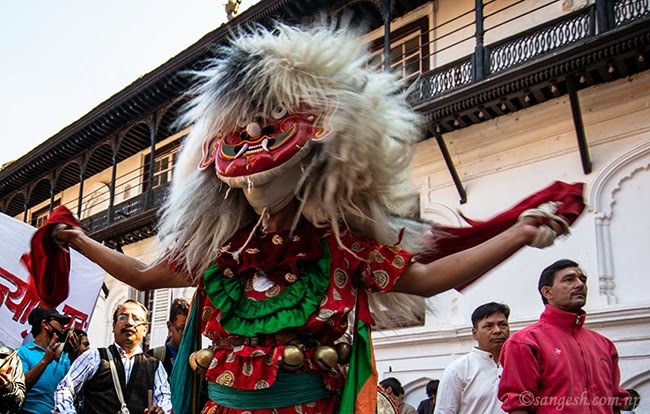 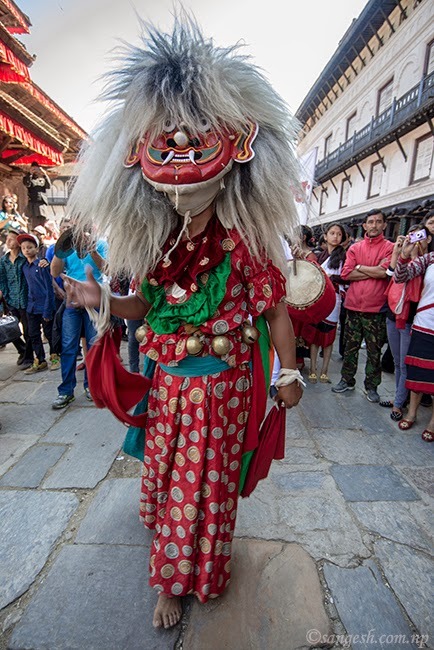 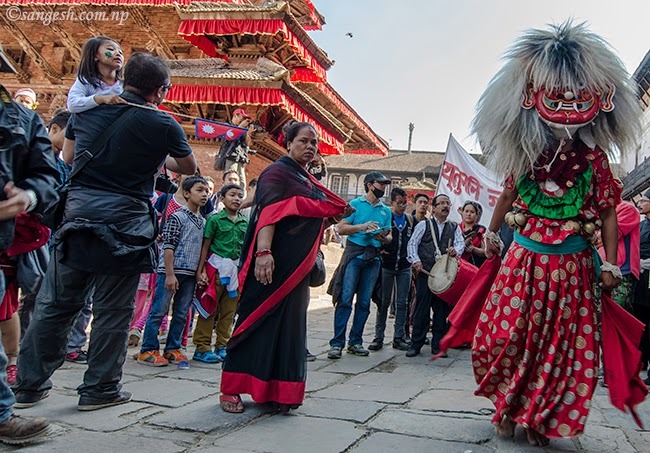 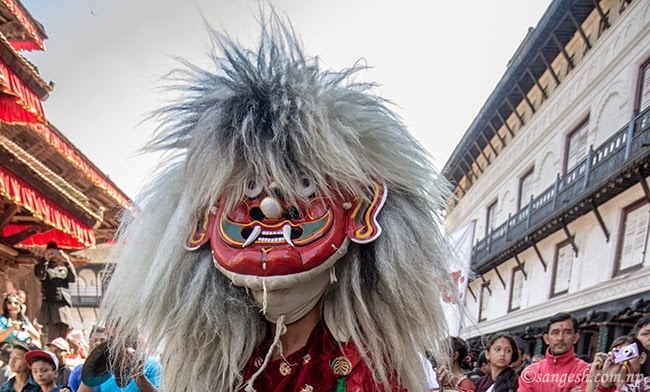 Lakhe – A demon to protect humans is a folklore of Newari culture of Nepal. 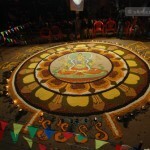 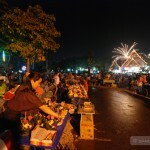 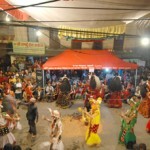 A special dance is perform every year on different occasion in Kathmandu valley and cities with Newar community. 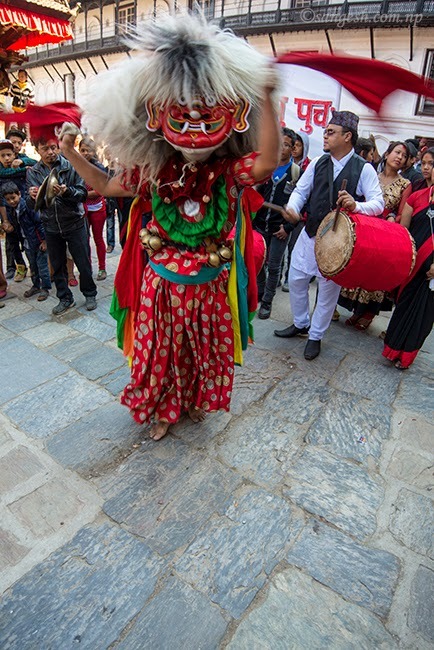 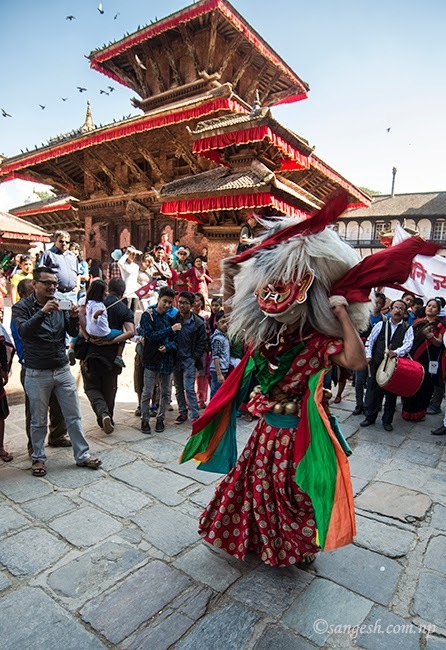 Dancer performs wearing a Lakhe costume and mask on the streets and city squares during festivals. 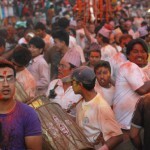 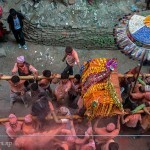 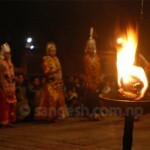 The dance at the time of Indra Jatra is popular among people. 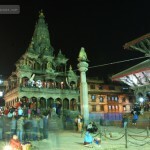 These picture are capture during the rally on the ocasion of Nepal Sambat 1135.